When applying for a merchant account from a bank or via another merchant payment services provider, you’ll need to provide quite a lot of information about your business and its credit/debit card processing needs. A robust business plan, operating procedures, financial statements, and sales projections will be needed. Also your credit history. In addition to that fairly straightforward information about you and your business, you’ll need to provide card processing volume requirements and the average ticket size you expect to process. With a track record of card payments under your belt, those measures will be fairly easy to provide. But, if accepting credit/debit cards is new for your business, developing the information may require research and additional work on your part. One of the primary measures to determine is the card processing volume expected for your business on a monthly basis. In this context, processing volume refers to the dollar amount of card sales you expect to generate monthly, for each month. Whether the answer to that query is straightforward or not will depend on what type of business you run, and whether or not it’s a seasonal business. Why Does Anyone But Your Accountant Care? Isn’t the goal to sell as much as possible regardless of payment method, so long as you receive payment? Yes and no. 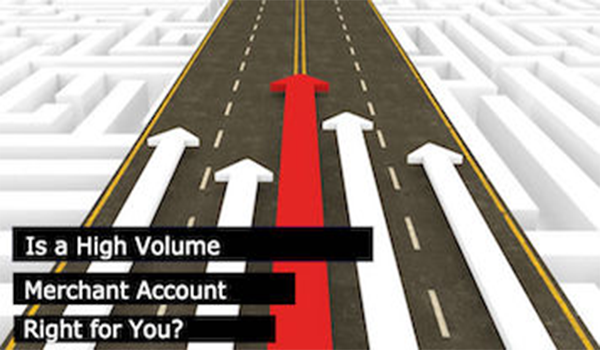 Your merchant services provider wants to know average processing volume to determine your processing limit. That’s the amount of payment card transactions you’ll be allowed to process monthly. Your processing limit and the anticipated average ticket size will be specified in your merchant account processing agreement and become terms of the contract with your provider. Some merchant service providers will help you with the estimates, to make them as accurate as possible. But you may need to make an educated guess to project monthly gross sales and then calculate the percentage of sales you expect will be made with credit/debit cards. All of this is important because high volume merchants whose business exceeds the contracted numbers without prior permission (more than occasionally), can put their merchant accounts in jeopardy. The processor bases its processing infrastructure on their contractual obligations, and may not be able to handle large, unplanned processing needs. You could face penalties or have your funds frozen. And could even lose your merchant account — without which you cannot accept payment cards for future sales. So you see, limiting processing volumes may be standard practice in the industry, but it sure can adversely impact your business. Artificially limiting your card sales can degrade cash flow and limit business growth opportunities… While your business goal may be to optimize all of your potential revenue streams and pursue as many business growth opportunities as possible. What high volume merchants need is the capacity to process all sales safely and securely. That may require multiple, diversified accounts to mitigate and reduce processing risk. Or a single specialized high volume merchant account to handle all of your processing needs. Either way, to be viable your business requires the high volume processing capacity that accommodates current volumes and supports business growth. Just one more challenge for high volume merchants. Working with a specialized payment processor may be the best way to find the ideal high volume merchant account for your business. A partner who specializes will understand thoroughly the complex payments business, your industry, and what solutions exist for you. They’ll have long-standing relationships with banks that are ready and willing to take on high volume merchants. The specialist will help you choose the right bank and then guide you through the merchant account application process to provide you with a merchant payment solution that is scalable for long-term growth. Working together, they’ll develop the right plan for your business and help you choose the services to best meet your processing needs. Once your merchant account is approved, your specialist partner will ensure you have access to an appropriate PCI-compliant payment gateway and are properly set up to accept your first card payments. And they’ll work with you to make sure the payments side of your business seamlessly operates.